When traveling it can sometimes be difficult to find delicious, healthy food, especially if you are unfamiliar with the best local restaurants, cafes, and bars to visit. Often the places with the tastiest food are not the most expensive or the most heavily advertised, instead, they can be well-kept secrets that only the local population like to head to, or places that have only recently opened up. Another difficulty can be if you have certain dietary requirements such as being vegetarian or vegan or having an intolerance to certain foods like gluten or lactose. While the world is certainly becoming easier for vegans such as myself when abroad it certainly can still be a challenge! I recently spent a week staying at Pearly Grey Ocean Club Resort in the South West of Tenerife, the largest and most populated of the seven Canary Islands. With a population of very close to 900,000 people, it is also the most populated island of Spain and an extremely important global tourist destination with about five million visitors each year! As you can imagine, there is a massive choice of different places to eat including a number of top quality restaurants. Having visited the island back in April 2016, I already knew there were some great places to eat. On the other hand, there are a large number of places to avoid full of unhealthy junk food. If you are traveling from the UK, for example, you could literally eat British food every day if you really wanted to (why would you?!) with restaurants, bars and pubs serving traditional British fare such as fish and chips, roast dinners and that kind of thing. You can also find literally any other type of food you want on the island including Chinese, Indian, Thai, Japanese, Italian and of course Canarian and Spanish. With such a huge choice, where should you eat? Well for delicious and healthy food I would definitely recommend the amazing Magic Café Lounge Bar in Playa de Las Américas, Tenerife! During my stay in Tenerife, I went to Magic Café with my friend John Beckley, the marketing manager at Pearly Grey Resort and Rena Valatka who is currently working as a marketing assistant at the resort. We arrived at around 2pm on a Thursday and were warmly welcomed by the staff there, who showed us to our table which was outside at the front, where we felt right in the centre of the holiday vibe of Tenerife! The location of Magic is amazing as it is right in the centre of the main shopping strip of Playa de Las Americas, one of the most popular areas of Tenerife. Despite it being the middle of winter, it was a lovely warm temperature with a bright blue sky. The street is lined with palm trees, fountains and a variety of excellent shops, bars, and restaurants which really gives it that holiday vibe as you sit sipping your drink and eating. Magic has a great selection of drinks, including some amazing juices and smoothies which are both delicious and nutritious. As it was the middle of the day we all opted for non-alcoholic drinks, although you can find an excellent variety of beers, wines, and cocktails. I decided to try out the 'Heart-Beet' juice, and wow, it was so good! For just 5 euros you get this super healthy juice which also tastes amazing. It is a mixture of beetroot, apple juice, and spinach, with a hint of fresh ginger for that extra kick. Beetroot stimulates blood flow to the heart and cleanses the blood so you will feel great afterward. There are a number of other different juices to try with cool names like 'Feel good flush', 'Delicious detox' and 'Glowing green' plus smoothies like 'Strawberry Seduction' if you are looking for something sweeter. The drinks were served quickly and with a smile by the Magic team who were friendly, knowledgeable and professional. Unlike some restaurants you might have been to, they were able to answer any questions we had about the food on the menu, make recommendations and accommodate our tastes. They also speak a number of languages fluently such as English, Spanish and Italian. While John is a meat eater, Rena is a vegetarian and I'm a vegan so we cover the whole spectrum of food tastes. This is no problem though if you visit Magic Café Lounge Bar as they have something for everyone and are very happy to add or take away ingredients from any meal on the menu. Our meal had already started off very well with the delicious drinks. Could the food top it? As it is described on the menu the salad has the best of everything with a number of different ingredients. While some people equate salad with boring (and sometimes it can be), when prepared properly, salads can be some of the best foods on the menu. They are often also an excellent selection for vegans! The Magic Salad has Quinoa (great source of protein), avocado (rich in omega 3), chia seeds (amazing 0% cholesterol health boost), chopped 3 colour pepper and onion mix, refreshing cucumber and mixed greens. It was presented beautifully and even had a little flower on top! For 8,50 this was amazing value, especially as it was a generous quantity of food. After the salad and my healthy juice, I felt satisfyingly full. This was also the case for John and Rena and we all agreed the food was amazing! You can find a great selection of different cuisine styles at Magic including Mediterranean, Mexican, Vietnamese and Japanese. As well as the excellent location, gorgeous t-shirt weather, friendly staff, and delicious food and drink, there was also a very cool atmosphere with a live guitarist playing acoustic Spanish music and singing. He was very talented and added that extra touch of class which really completed a perfect dining experience. I would definitely recommend Magic Café Lounge Bar to anyone living or holidaying in Tenerife looking for somewhere with delicious, healthy food and drink, a great atmosphere, reasonable prices, and friendly staff. After our quick meal, we were off but agreed we would all return to Magic. In fact, I went there again the following week for some drinks the evening before I left Tenerife and there was a very lively atmosphere, showing that Magic is popular at all times of the day! 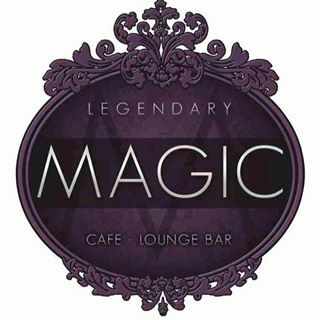 To find out more about Magic Café Lounge Bar then take a look at their website for offers, news, and their menu: http://magicbartenerife.com/ You can also follow them on Facebook and Twitter. If you are looking for other great options of places to eat that are vegan-friendly then check out this page on Tenerife Magazine: Top 10 Vegan Restaurants in Tenerife.